Although primitive unmanned TV-guided airplanes were used in combat during World War II, it is only recently that these machines have matured into the most significant new method of aerial combat since the beginning of contemporary warfare. The fact that onboard human pilots are no longer needed for these aircraft to carry out their deadly missions is fascinating for military enthusiasts and aviation historians alike. These remotely piloted vehicles are now re-writing the book on modern aerial surveillance and close air support. Delivering their lethal payloads with surgical precision, propeller-driven and jet-powered remotely piloted aircraft are guided by satellite, and flown by human operators located halfway around the world in air-conditioned trailers, isolated from the hostile combat environment of the aircraft themselves. 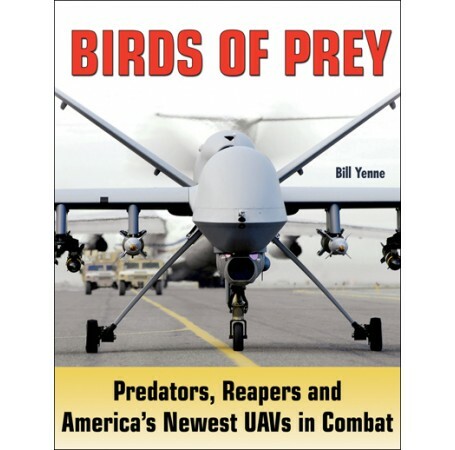 While this book also covers the history and development of early-unmanned aerial vehicles, the focus is on all the latest impressive technology used in today's most modern remotely piloted combat aircraft. "It is a book that I have to say exceeded my initial expectations by quite a bit. It is interesting, timely and a book that I fully believe every aviation enthusiast should read." "This is a fascinating book, which describes not just the aircraft but also the backup necessary to make these systems work." 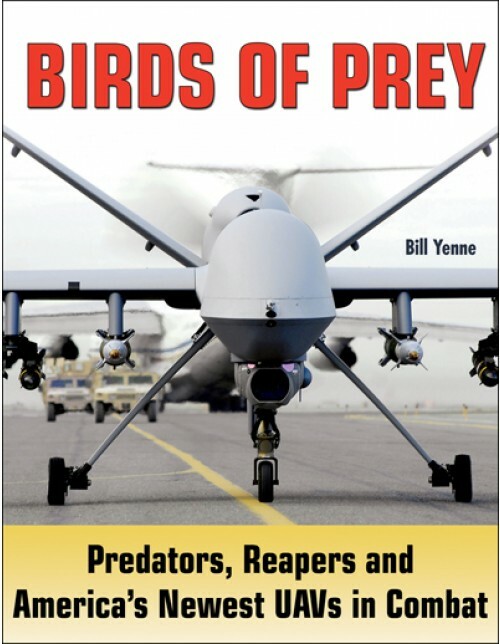 "...this excellent book is one of the first really useful histories of the UAV, with a large portion devoted to programs that are now in development." Bill Yenne has written more than three-dozen books on historical topics, as well as several novels. He has contributed to encyclopedias of both world wars, and has been featured in documentaries on the History Channel, the National Geographic Channel, the Smithsonian Channel, and ARD German Television. The Wall Street Journal notes that Yenne writes "with a cinematic vividness," and Gen. Wesley Clark, former Supreme Allied Commander in Europe, called Yenne's recent biography of Alexander the Great, the "best yet." Yenne's books have been included in Amazon's "100 Best Books of the Year."